Your career, in this sense, isn't just your chosen profession. It is the role in society you fill, what you want to be seen as, the title you want, and the position of power you wish to have. You may or may not become a famous celebrity, but your chances of becoming well-known for these planets. Being so career and success oriented, as well as so focused on your public image, guarantees that you will become recognized for your achievements. Of course, like many celebrities, you may come to realize the dark side of this placement lies in a lack of well-deserved privacy. As the House opposite the 4th, planets in the 10th are inescapably public. Putting yourself out there means that people see every side of you in all shades of complexity, where they can talk about you, scrutinize every action, and then align themselves into extreme camps of lovers or haters. It is in this last quarter - and especially in the 10th - that your capacity for self-love is put to the test. You can think of the 10th House as the exterior image of the home, as seen from the street, or at a distance. Parents, teachers, coaches, and other influential adults all played a part in shaping you into the star you are today. From a very young age, you understood that their public image and their career was very important to them. Much of their own identity was derived from the work they were seen doing, and much of their self-respect is dependent on how well they did for themselves. Your mother (or women in general) was seen to depend on men for status, wealth, and self-worth, or to resent her own feelings of powerlessness. But this was something you were determined to never do. You wanted to be strong, powerful, and authoritative in your own right, not to sit in someone else’s shadow. You wanted to be seen, to shine brighter than those around you; to be put up in stage and adored by millions of fans and followers. Many with this placement begin as child stars. Others begin later on in life, choosing to get into a prominent career with single-minded determination. The legacy of your parent’s influences state that to this day your identity and self-worth relies heavily on your career and professional achievements. Even more important than success is having a job that looks good on you, for your two biggest fears are failure and embarrassment. The ideal career for you is a creative one where you can shine as an individual, for you have a difficult time bowing down to authority or playing second fiddle to someone else. You do best in a management or leadership position where you wield power and influence other people. But this can also lead to you becoming arrogant, selfish, and even dictatorial. When the entirety of your self-esteem is derived from your title, status, wealth, and success, there is little you will not do to keep yourself in the limelight. Your goal-oriented work ethic and the enormous amount of energy you devote to achievement leads to you becoming a high-ranking, respected person within your field. You seldom have a problem finding a job, getting promoted, earning a raise, and bearing responsibility. It is not difficult for you to become well-liked and popular. With your Moon in the 10th House, the most prominent figure in creating your public identity was likely to be your mother-figure, or the more nurturing parent. From her (or them) you modelled your sensitive, emotional side, and learned to be more compassionate and empathetic. She was your primary influence in image-building. On one hand she was a changeable, contradictory, receptive, and turbulent person, dramatic and moodily so, reacting to influences in her own life at the slightest slight. But on the other she deeply craved security within her own life, and she placed an emphasis on the structure of home, family, and traditional comforts. She was deeply complex, and she taught you how to express yourself publicly. Modeling your public image off of your mother, you placed your emotions in the public sphere as well. But emotions want to be hidden, protected, kept safe and structured behind a heavy veil in the heart. With your Moon situated at the very top of your chart, she is always exposed and subject to reacting to the people, situations, and environment around you. In the 10th House, as she is always out in the open; she is always being affected by everything going on around you. You cannot shield yourself from the harsh words of others, neither can you stop empathizing with the hurting souls around you. You express all your emotions all the time; you may even cry in public places and in front of people. As a result your reputation is laden with accusations of being dramatic, emotional, moody, and far too sensitive for your own good. Being as you are touchy when it comes to your public image, reputation, status, and what people think about you, this can create problems. You look at the world from your public position and only ask to be loved in return. Why does it have to be so difficult for you to receive the admiration you crave? With Mercury placed in the 10th House, you grew up with parents who valued education, intelligence, and usable skills. They embodied many Mercurial qualities – they were talkative, fickle, inquisitive, intelligent, and witty. They were highly social people who were always out and about doing something. Possessing a very active, inquisitive mind, they wanted to learn the facts about everything. On the other half of Mercury, however, there is a more difficult side. Adults may have been so unpredictable that they became completely volatile, so two-faced it seem they had multiple personalities, and so unstable as to be mentally unwell. Highly changeable and never settled, you grew up in household where you had to act out, speak loudly, and sometimes become someone else in order to get and keep your parent’s attention. The many masks of Mercury you wear are your ticket getting noticed, and your talent with words is the key to your success later on. Mercury, in shaping your public image, shapes the path your career takes. You are likely to have more than one job or hold more than one title at once. You change your career frequently either due to boredom, changing your mind, or because you are always on the move. Because you can adapt to many different kinds of people and many different kinds of roles, you have the ability to become whatever you are needed to be. And because you so highly communicative, you can diplomatically approach those in authority and negotiate to get what you want. You should pursue professional vocations that are intellectually stimulating, which utilize your talent for words and your manual skills. This includes writing, public speaking, teaching, reporting, lecturing, and other jobs which involve learning and communicating information. It also includes work in trades, science, and media. Through your career you want to be seen as a bright, intelligent, and capable person who can don a variety of roles. More than anything, you just want your voice to be heard. When you were young, influential adults praised beauty, artistic talent, social harmony, and feminine charm. In this way, you were brought up to believe that was what people liked and wanted from you, and so you publicly promoted the Venusian side of your personality to gain love and attention from those around you. Women with this placement often want to be seen as beautiful, while men want to be known for their wealth. Both want to be seen as a great artistic talent, stylish in taste and fashion, social in high society, and graciously polite with other people. Both want to be surrounded with beautiful, wealthy, artistic people as well. Being so consumed with having the right “image”, you may find yourself drawn to Capricorn types of personalities who share these values with you. With them you form close ties as friends or siblings. But the underside of the relationship is coloured in jealousy as they become your rival for the attention of the crowd. Venus contains a dark side of vanity, laziness, social drama, and materialism. To avoid being cast in this negative light, it helps to find a career where you are seen expressing your Venus in a powerful, positive, and influential way. Your career is a major part of your public image, as it is what most people are defined as to the rest of the world. Venus influences your professional goals, ambition, motivation, ideas of success and achievement, and as she is unavoidably a part of your reputation, she has a heavy hand in choosing what kind of career you should pursue. To your job you bring your beauty and your artistic talents to the fore. You gifted in that you can pleasure others and make them happy, making high-profile special connections and pleasing clients left and right. Your materialism and want for indulgence drives you into making lots of money (hopefully enough to keep up with your spending habits). Your lively social life and desire to be seen gives you plenty of networking skills. This ability to form relationships with those who might benefit you through their status, connections, or wealth is perhaps one of the biggest factors in your success. For these reasons you do best in the art, beauty, fashion, entertainment, cultural, or food industries. Venus defines success as being the naked queen outstretched on silk bedding, being fed grapes from adoring servants. In a curious mix of vanity and generosity, her beauty and social graces are offered as a gift for the people to appreciate. Beginning when you were very young, your relationship with those in power (your parents in particular) was turbulent, as you were caught between your anger towards and your loyalty to them. As children we all have an innate need to receive love, praise, and approval from our parents, acting in ways that we hope with get their attention. One way or another your parents taught you how to be independent, how to fight for what you wanted, how to ambitiously go after your goals, and to not let others beat you into submission. Sometimes you learned by their example and sometimes you learned from fighting with them. In either case you began to adopt your very dominant, aggressive public persona to ward off attackers and abusers. From these early experiences (particularly with men) you developed abhorrence for weakness and an overarching desire to be seen as strong and powerful. Mars in the 10th House shows that you put all of your masculine qualities into your public sphere of life, thereby demanding to be seen as an authority yourself. This need to become the independent leader of your public image can create further tensions with management later on in life, however, just as it did with your parents in your youth. Your chosen vocation is an integral part of your public image. Your professional goals, ambition, motivation, achievements, and success are all influenced by your Mars’ drive and aggression. But so your relationship with those situated above you: your boss, law enforcement, the government, the wealthy, and those in power. On top of your hostile attitude you have a violent temper, a destructive competitive streak, and a latent dominance that makes it hard for you to work well with others. Conflict between you and those in authority is ongoing and seem inevitable, and you are frequently resent by your peer for your bossiness and attitude of superiority. It is for those reasons that you work best when self-employed. Once you have been given the freedom and independence you demand you can begin to climb upward at lightning speed. Your status is born off the sweat of your brow and the single-minded determination it takes to make it in this world. Ceres is weakened in this placement. 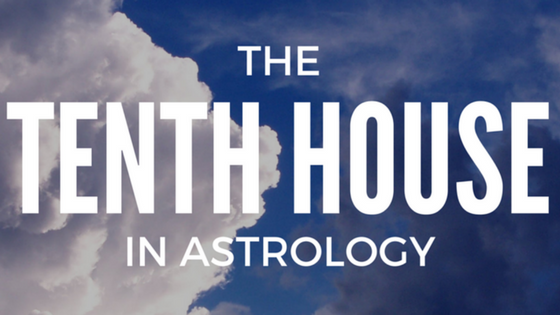 Planets that sit in the 10th House have their roots in the influential, authoritative adults of our childhood. From them we are told how to act and what to do, and we carry these messages into our public image, where we want to be seen in a certain way. Having Ceres here means that your parents were often out in the public world of their career rather than at home with you. You spent your time with several other adults and child care services, all of which had a hand in taking care of you, and which all sent you messages of the “right” way to behave. Children with this placement are pushed to develop their public image much earlier in life than other children do because they are constantly trying to please all these adults at once. Love and approval was given to you conditionally based on performance or achievement, and failing to meet those expectations made you feel rejected and abandoned. Fast forward to adulthood and now you are trying to please the public through your chosen career, wishing to be famous but resenting fame at the same time. Because of your early experiences, you are very comfortable living in the public eye. From your complex relationship with your parents (where you love one another and are close, but the love comes with expectations for your performance) you move into the public eye fairly easily. Stage fright never bothers you, and you tend to become very popular in one way or another. We are all comfortable with what we are familiar with, and you are all-too familiar with being pushed to perform and adapting your actions to the demands of other people. As an adult you may even still crave that accountability, even if it comes from years of oppression and manipulation, simply because it is all you know. In your career (which is every adult’s public identity) you will seek to be nurtured and approved of by others, just like a well-behaved child does with their parents. You just want love and attention; but instead of getting it from home, you seek to get it from the larger mass of people around you. What impresses them – sexual attractiveness, intelligence, wealth, power? You can be all those things and more, if it means someone will like you. The most important thing you must do for yourself is to learn to love yourself outside of what you do. Ideally, before you begin having children. Jupiter here suggests that a parent (or both parents) emulated the entertaining, larger-than-life qualities of this planet, giving you praise and attention when you acted out in this way. Theatrical emotional displays, exaggerated stories, and a very dramatic way of being was every day. They knew how to manipulate people’s emotions with their own displays of anger, guilt, and sadness – something you were on the receiving end up a lot. But they also worked as teachers, instilling you with a healthy interest in social studies, spirituality, and open-minded questioning. While there were difficult times where you had to compete with them for attention, your relationship with both is favourable overall. They offered you help and advice when you needed it, and thanks to their leadership you feel confident dealing with authority as an adult. In your career and public life you naturally excel thanks to your winning personality and lucky Jupiter by your side. You do best when you are given authority and plenty of freedom to do whatever you want. You have admirable leadership skills and have no problem taking the reins and leading the charge forward. At times this can breed arrogance and a false sense of superiority, and other times it can result in reckless pursuit of drugs and alcohol. Yet regardless of your hedonistic tendencies and sometimes inflated ego, you remain confident in yourself and able to deal successfully with other people, earning the respect of the peers you work with. Your ideal career will use Jupiter’s best qualities and allow this part of your personality to freely and publicly express itself. It may involve travelling from one corner of the globe to the next, introducing you to foreign lands and cultures to experience firsthand. Or it may involve more of a “mental” travel, where you learn about ideas from all over the world; humanity, spirituality, history, philosophy, politics, and culture. Or you could become an entertainer (of any kind), a teacher, a politician, a spiritual leader, an artist, or a thinker of profound thoughts. This is a very good placement for Saturn. Despite its mostly negative reputation as a harbinger of difficulty and frustration, his aptitude for focus and achievement works well in the public sphere. As is usual the messages we feel bearing down on us from the top of our chart have their roots in the authorities we bowed down to when we were young. In your case, you received strict, Saturn-like messages of obedience and subordination. A parent or other influential adult was experienced as critical and demanding, and at times even cold and unloving. They alone decided what you were to do; they ran your life, your image, and set goals for you to accomplish. Nothing you did ever felt like it was good enough, and you always felt like they were never impressed with the effort you put into pleasing them. On a more positive note the parent was also pragmatic, disciplined, and protective, even patient and calm. They were a symbol of strength and solidarity for you, an inspiration for determination and overcoming life’s obstacles. You were constantly searching for ways to earn their approval. You found it easiest to please them when you followed their rules and emulated them – thereby integrating their likeness into your public image. These internalized lessons you learned about becoming more Saturn-like in order to gain the approval of others is something that is still seen your personality today. You earn respect and admiration by gaining traditional meters of success: an impressive career doing meaningful work, adoration from the crowd, a personal fortune, large property, accumulated possessions, the perfect family, and the perfect body. You are very sensitive when it comes to how people see you, and you want to be seen in the right way. The career you chose is one you decided was socially acceptable, even impressive, from an outsider’s perspective. This need to be viewed as “proper” transcends your image and becomes a part of your moral make-up as well; anybody who does not control themselves, who does not hold themselves to your traditional view of how people “should be”, are harshly judged and criticized as such. But do not so readily condemn others who have liberated themselves from seeking the approval of their parents. You may have grown up being told how to look, how to act, how to speak, and how to measure your success – you may still even tip-toe around the parents that told you these things – but not everybody ascribes to such restrictive doctrine. Having Chiron here means that a large portion of your self-esteem relies on how successful you are. One or both of your parents pushed you to succeed in school and in your career, putting pressure on you to prove yourself in front of the world at large. Perhaps they bore down on you when you made a mistake, got upset when you did not do what they wanted, or put you down if you didn’t live up to their standards. They may have even used scare tactics to coerce you into believing you had to do certain things in order to be successful, and if you didn’t you were doomed to be a failure. In any case, there is a strong possibility that your Chiron fears and feelings of inadequacy first emerged as a feeling of rejection from your parents. Alternatively, you parents could have been teachers or Wounded Healers themselves. They were bitter and resentful over other people’s success, wealth, and fame, feeling disenfranchised no matter how hard they tried. Yet they worked in industries where they helped others realize their own dreams and made them come true. They may have believed they were a failure and suffered from feelings of inadequacy. In this way they became Chiron: sad, insecure, fearful, and anxious, but also compelled to help others do better than they ever could. Your biggest obstacles come from your career, status, wealth, and public image. Your parents’ fears and feelings surround their careers become your own when you emerge into adulthood. Even as an independent adult out on your own, you still have a deep-seated fear of not living up to your parent’s expectations. It is difficult for you to set and reach your professional goals. You have ambition and high standards for yourself, being as your self-worth relies on how much you can show for your achievements. But your fear of failure and embarrassment hold you back. Too scared of the possible ridicule and riddled with insecurity, your anxiety gets the better of you and you quit before you do anything noteworthy. Even when you do set yourself up for success, follow through, and make progress in the direction you wanted, you fail to recognize your accomplishments as accomplishments. You should look into a career path where you can use your pain as an inspiration to help others. Like perhaps your parents, you may look into work where you are teaching or empower others to succeed where you never could. However, you may likewise then share their resentment at watching your prodigies surpass you and go on to bigger and better things. Early relationships with authority figures such as parents, teachers, coaches, adult family friends, and community leaders, are the starting points of our 10th House development. Wanting the love and attention of those above us, we make an effort to emulate what they like and respect in order to receive positive praise. But having Uranus in the 10th House creates difficulties in your relationship with authority, being as this is the planet that ignites revolution and overthrows power structures they don’t like. You recognized your parents as erratic in nature; highly changeable in mood and temperament, eccentric in behaviour, and unpredictable in what they were going to do next. They may have been mentally unstable. Or they may have just been weird and passionate people. On a positive note they introduced to you to human issues, science, and innovation, and in many ways encouraged you not to readily “bow down” to any person in authority. But on the more difficult side you grew up caught between freedom and restraint, being locked down in some ways and free to run wild in others. Rebellion against authority is a common theme in your public life. Your independent streak runs deep into your personality, even in your career later on in adulthood. Stemming from these childhood experiences with authority, you grow up aware of the fact that you are capable of handling your career yourself. You do not play along with corporate hierarchies or succumb to the rank of others. Management has a difficult time controlling you because you seem to do whatever you want, and your relationship with leaders is strained because you do not respect their opinion just because they are a leader. You demand to be respected as an equal. You want to be trusted with the freedom to handle your responsibilities how you see fit. For these reasons you work best alone, in management, or with complete control over your projects. You are fiercely independent, restless, and constantly on the move, achieving success because of your work ethic and unique creativity. If you do not agree with how the business is being run you will not hesitate to leave. Because of this your career path can be someone erratic, with unexpected changes and spontaneous decisions changing your direction. The best career options would cater to your individuality. Freelance work in the science, technology, and media industries are obvious choices. But the most important thing is that you can be yourself and work by yourself. This placement seems to suggest a parent (or parents) who needed you to help them, save them, or take care of them in some way. You saw them be selflessly giving, sensitive, generous, gentle, and kind to those around them. Yet they remained somehow a victim and a martyr. You saw enormous creative talent and artistic imagination, and spirituality spurred by their idealized version of the world. But at the same time you saw depression, alcoholism, and even addiction run rampantly throughout their lives. Your view of them was confusing, and your relationship with them was confusing. They depended on you for help and support as much as you did them. Sometimes it seemed like you were the caregiver and they were the child, even though they held authority over you. You learned from a young age how to become whatever they needed. Your intuition guided you towards what they wanted, and you adopted whatever persona you had to be in order to make them happy. These qualities carry over into your career later on in your adult life, where the authorities are management, clients, and the public world. Initially there is some difficulty in choosing the right career, as Neptune casts illusions and delusions around success, achievement, ambition, and your professional goals. You have such high aspirations and inflated expectations for how amazing this career will be that you are bound to be disappointed with the reality that you get. Without any clear goals and not knowing how to get what you want (or even what you want), it can seem like your public life is a place of dashed dreams that will never come true. The illness that plagues you is that you spend too much time becoming what other people want you to be for them. The best remedy is to look at the types of careers that utilize Neptune’s strengths and give this part of your personality a sense of fulfillment. Into your career you bring a lot of creativity, imagination, and artistic talent. You have a strong intuition for trends and can accurately guess what the public wants. And you love helping people. These things mean a career in the arts, media, marketing, in front of a camera, or any type of counselling suite you very well. You may end up with a more unusual career than you originally thought, but you can serve to inspire the masses with your dream job. This planet is tremendously powerful when placed here. It all begins with the authorities you dealt with as a child; the influential adults you encountered came to structure the way you viewed power later on in life. The early relationships between you and your parents contain many themes of power and control, and the way you viewed them may indeed be coloured in Pluto’s darker shades. In mom and dad you saw intensity, ruthlessness, strength, and enormous willpower. One or both were full of pent-up anger and frustration, which despite being kept hidden you sensed present in the air around them. They may have been experienced as powerful, manipulative, untrustworthy, even omnipresent, all under a veil of subtly. But you also saw their struggles and how they overcame the challenges in their life, and those messages of endurance and transformation stuck with you just as well. From watching these adults and living under the weight of their influence, parts of your own personality began to develop. You crafted an obsessive campaign for power to compensate your earlier feelings of helplessness. You wanted to be in control, you wanted to feel like you yourself were influential - basically, you wanted to become one of the powers that be. Pluto messages get absorbed from your parents and then transferred into your public image, where you build up your career and reputation around her intensity. Your desire for power and desire to influence other people’s lives is what compels you to be so driven. Your intensity is unmatched. Achievement and success are passionate points for you; some may even say your passion borders on the extreme. Luckily, this enthusiasm is matched by flares of energy and warmth that compels others to support and want to do business with. However, power struggles and issues around control also create tension when how you want to be represented clashes with others involved in your career. You should take care to make sure that your fervent drive for accomplishment is well-placed in a career that is meaningful and exciting for you. It should serve as an outlet for both your ambition and your complex emotions, and it should be one that can endure an inevitable transformation of self. You are destined for an eventual twist of fate and possible loss of prestige in the public sphere, and you must be prepared to tear down your old career and completely rebuild a new image for yourself.